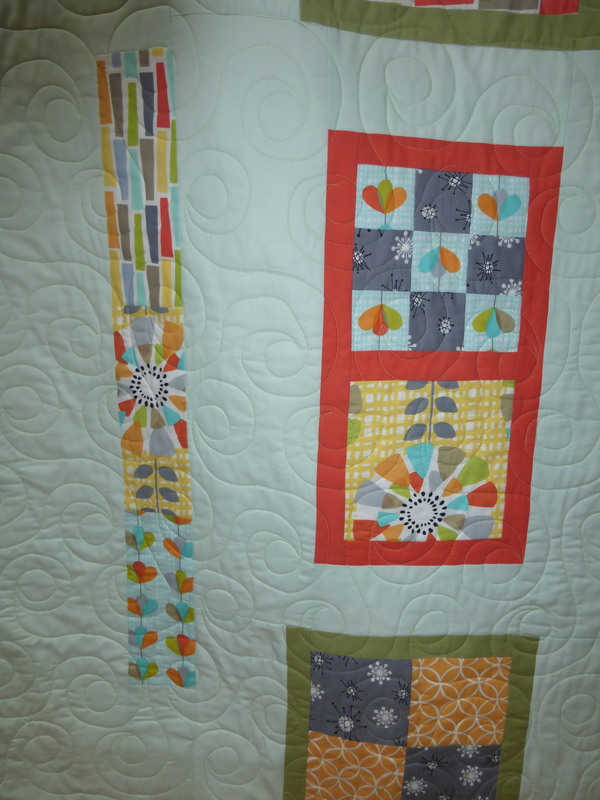 I decided to participate in the Modern Quilt Guild’s Michael Miller Fabric Challenge. My plan was to fussy cut some blocks and then improvise from there, although I must admit my improvisation ended up taking place on my drawing pad so that I would have an idea of how much fabric I would need to surround my blocks. Does that mean it is not really improvised? Can there be no planning with improvisation? Perhaps not! 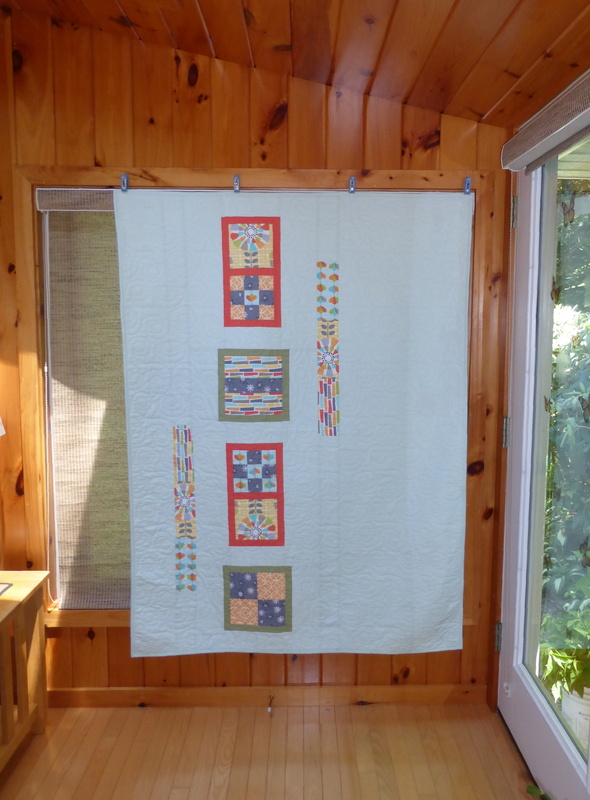 I am calling this quilt the Garden Continuum. It is 48″ x 64″. I used all 6 of the fat eighths provided and I think I made good use of them. I used 2 yards of fabric for the background and the binding, and also added about an eighth of a yard of a solid green fabric. In keeping with the theme of the quit, I went with edge to edge swirly quilting so that the garden blocks blend in and appear to be floating in the continuum! 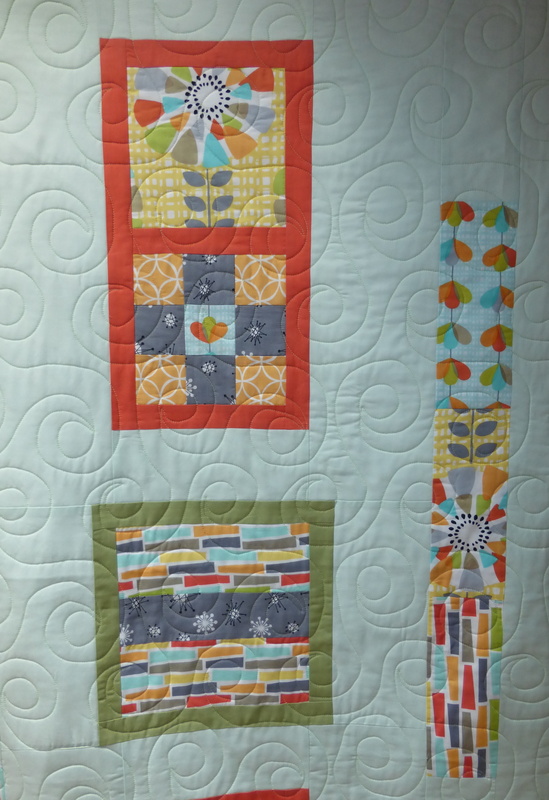 This entry was posted in Boston Modern Quilt Guild, Quilts and tagged block, boston modern, fuss cut, improvisation, michael miller, modern quilt, modern quilt guild on June 15, 2014 by pmegio.